Everett Summer Crosby was not a pioneer. He was not a great winemaker. But he created a vineyard in the Hudson Valley that became the most famous winery on the east coast. And certainly one of the most famous wineries of the Hudson Valley. There's not much out there about him...save a few editions of a long ago published book. “In 1992, a developer bought the property and received preliminary approval for the construction of 20 homes. A local group named West Branch Conservation Association, which sought to preserve the mountain in its undeveloped state, sued the builder and Clarkstown to prevent the construction. Last September, after a judge ruled that the builder did not provide a proper environmental impact statement, he decided to sell the site,” Cheslow continued. "The builder knew that the fight would go on for years and so he just gave up," explained Zipporah S. Fleisher, a member of West Branch. 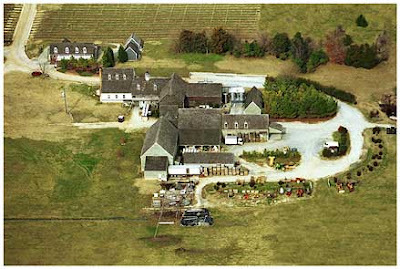 The property was most famous from 1950 to 1989 when it was planted with grapes and became known as High Tor Vineyards. The land of High Tor was granted to the Van Orden family by King George III. Grapes had been growing on the property dating back to the 18th century. There was also supposedly a Indian burial ground located somewhere on the property. Everett Summer Crosby,” who was also a writer, bought the High Tor site with its historic Van Orden House in 1950 to prove that he could produce quality grapes and wines just 20 miles north of the George Washington Bridge. His products stood the test as he marketed as much of his Rockland White, Rockland Red and Rockland Rose as he could produce,” reported the New York Times. According to American wine historian Leon Adams, High Tor was “for a quarter of a century was the most famous small winegrowing estate in eastern America.” High praise indeed coming from Adams. He was a mentor to many, including a young fledling vintner named Mark Miller, who founded Benmarl. "I visited Everett regularly and he was unfailingly cooperative and encouraging, making all of his considerable experience freely available to me." He referred to Crosby's wines as "attractive, the whites in particular were fresh and delicious...his reds wines...represented an enormous breakthrough." Miller said they were by far the best on the east coast. Miller placed Crosby in perspective: "The precedent set by Crosby represents an important period in the viticultural history of the Hudson Valley." 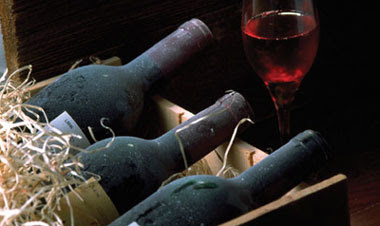 His reds were made from hybrids, according to wine expert of the periodWilliam E. Massie. He lived with his wife Alma for more than 60 years. He sold the vineyard in the early 1970's and published "The Vintage Years: The Saga of High Tor Vineyards." According to Adams the book was “delightful.” In the book he “related his trials and successes in planting his dream vineyard on that craggy mountain and eventually winning connoisseur acceptance of his French hybrid wines.” He sold the vineyards to a New York restaurateur who kept it open for five more years. 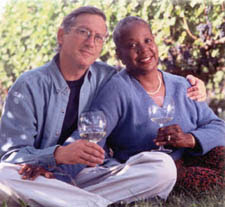 In 1981 New York economist Christopher Wells bought the property and revived the vineyards, but eventually sold it. Crosby died on January 12, 1994 at Memorial Hospital in Ormond Beach, Florida. A former resident of West Nyack, N.Y., and Ocho Rios, Jamaica, he was 82 and had lived in Ormond Beach since 1989. Today High Tor remains as a state park. 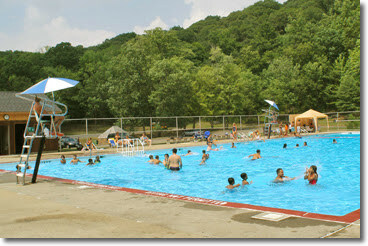 It’s a beautiful place to visit, with swimming pools and hiking trails. But the wine is gone. So my wife pulled a bait and switch on me the other night. As I was fretting her arrival after having started imbibing without her...she had changed the planned menu. Instead of bringing home salmon steaks and baked potatoes, she ended up bringing home steel head trout and salad with a French baguette. While she was not pleased with my recent behavoir, having drank a half bottle wiithout her, she was pleased when I brought out a new bottle of wine - a chilled bottle of Corey Creek's Domaines CC Rose'. This wine is a blend of Merlot, Cabernet Franc, and Cabernet Sauvignon. The fruit comes across pure. It's very clean and with bright acidity and a crisp finish. Bright cherry and boysenberry aromatics come through as promised. It's dry and light and delicious. One of my favorite roses! Excellent! Suffice to say, I had been smart enough to ply her with roses. Also, we started the kids on a movie, turned down the lights in the dinningroom, lit the candles, and tasted of our broiled trout. Lovingly covered in oilive oil and lightly dusted with Herbs de Provence, the tender fish was flaky and delicious. The mixed greens were lovely. And the wine perfect. Thanks Corey Creek! I felt like James Bond with just the right move. And more importantly, my wife wife was slightly impressed with me. Only temporarily. NEW YORK (AP) — Lush Tuscan vineyards and the urban landscape of Staten Island may not seem to go together, but that's about to change. With a little help from its Italian sister city, the borough often associated with its former landfill is preparing to open the only large-scale, educational vineyard in New York City. And its creators are looking forward to producing their very own nectar of the gods — the Super Staten Island Red. "Despite what people think, Staten Island can be a good place to produce excellent wine," said Piergiorgio Castellani Jr., a Tuscan winemaker whose vineyards inspired the venture. "It's like planting a vineyard in the center of the world." The vineyard was the brainchild of several Staten Island businessmen with an appreciation for red wine. They traveled to Crespina, Italy, in November to glean ideas from Castellani's vineyards. They consulted with viticulture experts from Cornell University and the University of Pisa to select a blend of grapes that would grow in the Staten Island Botanical Garden. They settled on cabernet sauvignon, merlot and sangiovese varieties, which they hope to plant in spring 2009. The 2-acre vineyard is part of an effort to lure tourists off the famed Staten Island ferry and onto the much-maligned island. The borough president's office has committed $2 million to the project. "It's an educational vineyard," said Henry Salmon, who is spearheading the nonprofit venture, which will explore winemaking from the vine to the bottle. "We expect to bring adults and children to show how grapes are grown and how wine is made." Even though more than a third of its residents are of Italian descent, Staten Island bears little resemblance to the rolling hills of Tuscany. 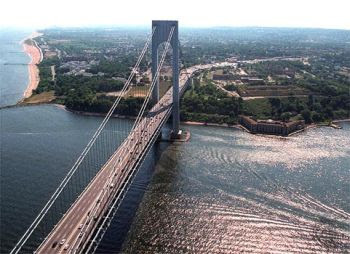 The island, located off the southern tip of Manhattan, is the least populated of the city's five boroughs. It will take about four years before the soil is prepared for the vines and grapes can be transformed into wine. But organizers believe it's worth the wait. "What's more important than making good wine is the didactic component of this project," Castellani said. "There are a lot of people interested in understanding how wine is made." NEW YORK WINE COUNTRY will soon be on the tube, with two public television stations getting ready to air programs featuring various aspects of the New York wine industry. Western New York’s WNED ( Buffalo ) produced “Wineries of Western New York and the Finger Lakes” last year, along with “Wineries of Canada’s Niagara Peninsula ” featuring our friends from across Niagara Falls . Both 90-minute shows explain the advantages of cool climate viticulture and visit numerous wineries on each side of the river. They will both air on Saturday, March 15 starting at 6:30 pm with the New York segment. On a far broader scale, WXXI ( Rochester ) will soon offer local viewers a sneak preview of its 13-segment “Taste of New York” series featuring New York wines, foods, farmers, agri-tourism and culinary tourism throughout the State. Every segment starts and ends at the New York Wine & Culinary Center with on-air host Susan Hunt and Executive Chef Dan Martello introducing the program upfront, then at the end creating a recipe with food ingredients and wines from the featured region. The first three episodes provide overviews of the New York Wine & Culinary Center, the statewide wine industry, and New York as a farm state, followed by segments in New York City, Long Island, the Hudson Valley, Finger Lakes East and West, Niagara/Lake Erie, North Country, and the Capitol district. The last two episodes feature unique perspectives on “Entrepreneurs of the Earth” and “Taste of the Future”. WXXI produced the series in high definition (HD), which means it will automatically be distributed nationally to all PBS stations. The sneak preview will include the first three episodes back to back starting at 5 pm on Sunday, March 2, with the series officially beginning its run on April 5. We are partnering with WXXI on a launch party April 17 (5-9 pm) at the Rochester Hyatt with host Susan Hunt and Chef Dan, along with over 20 wineries and many food producers. I am going to be in serious trouble this evening. It's been a rather cold, very cold, and wet time in the old town today. It was a snow day for the house....me, the wife, and the kids. I've spent all day working in my barn, working from home, and depressed as can be. It's cold and gray, and I have the late February early March blahhhs. So I was sitting in the barn, where we have an old, spare computer, feeling sorry for myself, and I clicked on a few of my favorite wine blogs. An interesting article here...something sorta cool there. A new blog. OK And then suddenly it hit me - it must be 5 o'clock somewhere. Indeed it was...right there in my kitchen. Now, my wife is out shopping for dinner this evening. We're supposed to have salmon steaks, a light salad, and some fresh baguettes. Also, we'll be starting the evening off by sitting in front of the fireplace (while the kids play Game Cube in their room) with a beautiful heart shaped piece of aged goat cheese from Coach Farms - one of my favorite cheeses. But thinking of this led me to ruin. Suddenly, charged with coming up with the wine selection, and after reading about wine on an empty stomach, I went searching. And then I found, and then I couldn't resist. And here am writing - breaking the cardinal rule of the Internet - don't drink and blog! So I found one wine, which I thought might be a nice accompaniment with our fish this evening, and I decided, for whatever reason, that I should open the bottle to let it breathe. And then I decided I should maybe take a taste. Oh my! Half a bottle in and here I am. Oooops! Pardon me. Fortuitously, the wine I opened was Williamsburg Winery's Two Shilling Red. Williamsburg Winery is Virginia’s largest winery with an annual production of some 60,000 cases. With approximately 100 wineries in Virginia, the Williamsburg Winery accounts for almost one-quarter of all wine production in Virginia. That's a lot! The Williamsburg Winery was established in 1985 by the Duffeler family. The first wine produced, Governor’s White, was released in 1988 and won a Gold Medal within two weeks. To say that the winery is picturesque is like saying that Audrey Hepburn was pretty. But more importantly, since one can't take the grounds and vineyards home with them, their wine is very good. The irony here is that Two Shilling Red is far from the top of their line.It is not one of their reserve wines. It's very affordable at $7.99 in fact. It is a medium-bodied premium blend. Similar in weight to the lighter wines of Beaujolais. As advertised, this wine is a light bodied blend, meant to be served young, and slightly chilled, with cheeses, pizza, pastas, and smoked ham. It has a lovely nose like a bowl full of cherries and vanilla, without any overt sweetness. But it is light and lively in the mouth, and a slightly dry finish. It is a wonderful little wine, full of flavor and very light. An excellent accomplishment. According to their website: "In 1621, when “ancient planter” John Johnson recorded his 100 acres located on Archer’s Hope, the 300 acre farm where the Winery now stands, his “fee rent” to the Crown was two shillings. The name John Johnson is found on the document identifying the first settlers, including Capt. John Smith." A copy of the original document is on exhibit in the museum there at the winery. Suffice to say, one sip led to another and now, the wine meant to go with our main course is more or less finished. And I can laugh now, but I know my days are numbered because I just heard my wife's car door slam, and the dogs have stopped barking. Just about now she will see the half devoured bottle on the counter, and I know that unless I come up with something good, I may be sleeping in the guest room this evening. "In Manhattan, the wine store Vintage New York opened in 2002 as part of Rivendell Winery in the Hudson Valley. The state, which now has more than 200 wineries, allows them to sell their wines on site and to open as many as five tasting rooms, a sensible provision like that of Colorado and Oregon. Vintage New York on Manhattan's Upper West Side is a sister store to Vintage New York in lower Manhattan, which includes a wine bar and restaurant called VNY next door. All of the enterprises, which are open daily, are owned by restaurateur Susan Wine and her husband, Robert Ransom III, whose family founded Rivendell in 1987. The stores feature 200 wines from 65 wineries located in four major wine-growing appellations and in many cases charges what the wineries charge for a bottle. For $10, customers get five one-ounce tastes and that fee is refunded with a purchase of $50. "We want people who are tasting to choose a wine to go home with," Ms. Wine says. NEW YORK GOLD was found in the Sunshine State, with New York wineries capturing a total of 190 medals including 19 Gold, 88 Silver, and 83 Bronze. Chris Stamp, Jon Damian of Lakewood Vineyards, and Jim Tresize of the NYWGA were among the judges at the Florida State Fair International Wine & Grape Juice Competition in Tampa , one of the country’s best events with over 1,600 entries this year from 36 states and 10 foreign countries. Gold medals were awarded to Anthony Road 2006 Cabernet Franc/Lemberger; Casa Larga Vineyards Estate Bottled Pallido; Chateau Frank Celebre Cremant and Dr. Konstantin Frank 2006 Dry Riesling; Duck Walk Boysenberry; Earl Estates Meadery Raspberry Reflections; Goose Watch Winery Classic Cream Sherry, Diamond, Golden Spumante, and 2006 Melody; Hunt Country Vineyards 2006 Cayuga White; Knapp Winery Superstition and 2006 Cayuga White; Lakewood Vineyards 2006 Chardonnay; Lamoreaux Landing Wine Cellars 2006 Estate Bottled Chardonnay; Penguin Bay Percussion; Pindar Vineyards 2005 Cabernet Franc; Torrey Ridge Winery Catawba and Diamond. 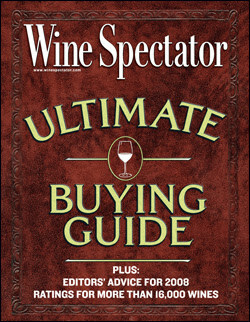 East coast wineries scored big in the Ultimate Buying Guide issue out on newstands between January 31 and February 29th. I'm posting some of the 84 to 90 scores that were awarded eastcoast wines, although many more were reviewed. I've abbreviated some of the wines' names, so you should pick up the issue for all the info. Kudos to Channing Daughters, Lucas, Standing Stone,and Barboursville for having three or more wines rated in this category each. Also, top scores went to Corey Creek Riesling North Fork Late Harvest 2005 which scored a 90! And to Sharpe Hill Chardonnay North Fork Longisland Aimee Philips 2004 which also scored a 90! East coast wines continue to grow in reputation. 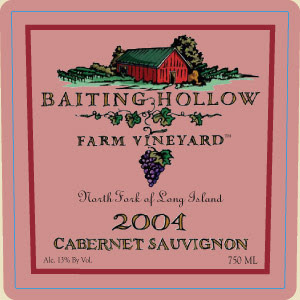 As usual, I was perusing the shelves at one of my favorite stores [McAdams Buy Rite on 3rd Avenue (a great Long Issland selection of wines)] when I spied a wine I had never tried before - Baiting Hollow Farm Cabernet Sauvignon. To say the least - I was thrilled. I always love finding a new wine. I'm like a little kid. I came home tonight trudging through the wind, and sleet, and snow. Dominique and I had decided we would curl up in front of the fireplace and watch the Westminster Dog show, which we had attended the first half the night before. I had said I would have Special K for dinner in an ill-fated attempt to lose weight. A dinner of breaded chicken cutlets, spinach, and fresh egg noodles, which Dom had prepared, persuaded me that I would sideline my attempts at weight reduction for a later day. Tonight, instead, we would try the Baiting Hollow Farm wine. 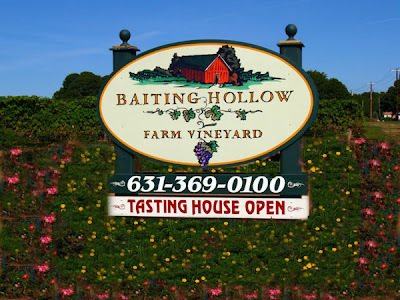 According to the website, "During the 1980's, Sam Rubin ventured to eastern Long Island and acquired what has since become the beautiful Baiting Hollow Farm Vineyard ("BHFV"). Sam, a lifelong farmer and naturalist, began to till the soil, the basis for all great wines, using only organic compost and other natural ingredients. This approach, the acquisition of fine French vines, the rather hospitable climate of the region, along with his vision and hard work, remain the foundation for BHFV's rather exceptional wine." While the website doesn't say who the winemaker is, Lenndevours back in Spetember 2006 noted that Tom Drozd, former Palmer Vineyards winemaker, noted that Drozd had "been making wine for Baiting Hollow Farm Vineyard." The website went onto say about the Cabernet Sauvignon, that it was "made from carefully selected fruit from the northernmost section of our vineyard...and placed into stainless steel tanks during fermentation. After 10-14 days, the resulting wine is separated from its skins and the first free run is placed into small oak barriques of which 20% are new American barrels. After 14- 18months of oak aging under careful supervision, with quarterly racking to assure quality, the wine is bottled." The wine had a deep red color as promised. To me, the nose came across as strwberries and vanilla. A fabulous nose. I could not shake the strawberry, but still I did get some darker fruits as well. The wine was beautifully balanced, with a great taste and a fabulous finish. I liked this wne very much. The photos from the website seem to show a beautiful farm, with gorgeous vines and beautiful vistas. A great place for an event or wedding. Anyway, I defintely thought this went well with the final big round of Westminster and with the nice dinner and the fireplace. But more than anything, rare for a school night, we finnished the bottle - a good sign. Every year at this time Dominique and I make preparations for our annual trip to Valley Forge. Not for historical reasons mind you. We go for the wine show. We are not old timers. In fact we are relative novices. This will be our fourth show. Many people of more stature have been coming much longer. To quote the website, “What is Wineries Unlimited? It's the largest trade show and conference of its type east of the Rocky Mountains. This unique event brings together members of the eastern market to meet, network, educate, shop, and join in a good time with old friends and new acquaintances…” in the wine business. The first time I went, I went as a spectator. The second time Dominique and I went as hopeful winery owners. And now here we are, fresh from our rookie season, a cup of coffee (to borrow a baseball metaphor), as winery owners, and visiting once again. Simply put, it was the single most important event I ever attended during the course of setting up my winery with my wife. Not only have we found the trade show an incredible source of tools and product, but the seminars are invaluable. From website management to winemaking, from book keeping to winery planning. We look forward each year to renewing our friendships and sharing information with colleagues. It was at this show that we met our label maker, ribbon maker, bottle supplier, stainless steel fermenters, pumps, hoses, etc. I also met for the first time many of the winery owners and winemakers I had reviewed or been introduced to. Now, here we were, certainly not equals (they were far ahead of me), but certainly on the same stage. Wineries Unlimited as to the east coast wineries as the winter meetings are to Major League Baseball (sorry for all the sports analogies). I was lucky enough to come into contact with Richard Leahy, the organizer of Wineries Unlimited. I have written about him previously. He is a tireless promoter of east coast wine. He was incredibly gracious enough to grant the answering of a good many questions. I could have asked him ten times more. But things have progressed remarkably since then Leahy explains. “The show has really grown, both in attendance and exhibitors. In 1997 we had sixty exhibitors. Last year we had 231, with 330 booths; this year we're at 228 but more are still coming in so we expect to sell out at 231, so that's 3.85 times as many as we had in 1997. Aside from growth, we've really built up the seminar program, both in numbers and types of seminars, and in the variety of content. We try to have different levels of seminars that appeal to all levels of experience. Hence, the newcomer sessions on the first day are for people just starting out or in the planning stages, while the two days of the regular program are for established businesses, and the Friday workshop focuses on a specific topic, usually of a technical nature. “If you want to learn about the Eastern/Midwestern production wine industry, especially if you want to learn how to be financially successful in some aspect of it, there's no better place than Wineries Unlimited. Aside from it being the largest trade show for the industry east of the Rockies, the seminar program is specifically focused on Eastern/Midwestern issues, from viticulture to winemaking to marketing. I asked him in what ways have WU grown over the years that he didn't expect? “Especially after 2000, there was this wave of growth driven by retirees or wine lovers who had made enough money in their regular careers to invest in a vineyard or winery as a retirement hobby or second career. Also, now we have a lot of attendees from the South and the Midwest, whereas previously they'd almost all been from adjacent states and a few from Virginia,” he said. Neither Dominique nor I can recommend highly enough a visit to Wineries Unlimited. It is, for anyone who truly wants to know more about wine and the wine industry, a fascinating experience. For anyone who wants more information on the program, schedule and exhibitors, they can visit www.wineriesunlimited.com and register online. Alright. Alright. So I am on a Virginia jag. And why not? Some of the best wines on the eastcoast come from Virginia. But I am geographically challenged. It's hard for me to get my hands on the Virginia stuff as easilly as I can many other states. And Virginia is growing by leaps and bounds. Which is exactly why there is a new magazine coming out to cover it - Viginia Wine Lover magazine. I will never forget our first visit to the Virginia Wine Festival many years ago. Dominique and I were shocked at not only how big the industry had grown down there, but how polished the wines were. Each stand had something to offer. However, the secret is well out in the open these days. Virginia produces some world class wines! The Virginia WINE LOVER™ is a new, exciting quarterly publication for Virginia Wine Lovers that is both entertaining and informative…filled with in-depth articles and fascinating facts about Virginia wineries and the wines they produce. It includes detailed maps, a listing of wine festivals and events and much more! WINE LOVER™ will be distributed to over 100 Virginia wineries. Some 80,000 to 100,000 copies will be distributed quarterly throughout the Commonwealth. Readership of approximately 400,000 is based on four time pass along. WINE LOVER™ is positioned as the most targeted media available to reach thousands of people in Virginia who have the interest and income to buy what you sell! If you haven't experienced the taste of Virginia wine, now's the time to do it. If you have tasted Virginia wine in the past and didn't like it, now's the time to try it again. The first Virginia Wine Expo will give you that chance. At least 42 state wineries will be pouring more than 200 wines in a two-day event that is described by the originator and executive director as one of a kind. "This is totally different," said Alex Papajohn of the Feb. 16-17 affair at the Greater Richmond Convention Center. "This is a trade and consumer event. This is exclusive. It's educational." That trade component will feature wholesalers, distributors, wine shops, restaurants, specialty food retailers, grocery stores, bed-and-breakfast inns and the travel and leisure industry interacting with a goal to promote Virginia wine. But of greater interest to most people will be the wine itself. For those who ignore state wines, or worse, for those who have turned their noses up at these wines after trying them, the event is an opportunity for the state to create new fans. "One of the challenges the Virginia wine industry faces is how do you change the perception on the part of many wine consumers that Virginia wine is inferior to that of California, France and Australia?" said Papajohn, a 42-year-old University of Richmond graduate and self-described entrepreneur who was hired by the Virginia Wine Association to be executive director of the expo. "There's no question that the quality of Virginia wine is inching up and up and getting better and better and better, and quite quickly." Papajohn is right. In recent years, numerous wines from many of the state's 127 wineries have placed high in judgings across the country. Their reputations are growing. Papajohn conceived the idea of the expo a year ago while attending the prestigious Washington D.C. International Wine & Food Festival. At first, he wanted an international festival with Virginia wines as the focus but with wines from around the world included. He approached the Virginia Wine Board, which liked the idea to a certain extent. Papajohn said the idea started to come to fruition when David King of King Family Vineyards and the head of the board approached him and said he would almost certainly get support of the state wine industry if this was an all-Virginia event. The inaugural Virginia Wine Showcase, exclusively featuring Virginia Wines, will be held at the Dulles Expo Center on Saturday, Feb. 9 and Sunday, Feb. 10, 11 a.m.-6 p.m. each day. Vintners from 43 Virginia wineries, including seven new wineries in the state, will pour samples of their wines. Guests will have an opportunity to experience Virginia wines ranging from dry and semi-dry table wines to sparkling fruit and dessert varietals. In addition, guests will have an opportunity to meet and talk to local wine makers to learn more about the wines being produced in Virginia’s farm wineries. A new wine award, the Virginia Wine Showcase People's Choice Award, will be presented to six wines voted "Best in Class" by guests attending the event. Along with 43 participating wineries, there will be wine pairing and tasting seminars hosted by the Washington Wine Academy and classical entertainment from George Mason University Center for the Art students. There will also be an activities room for children. 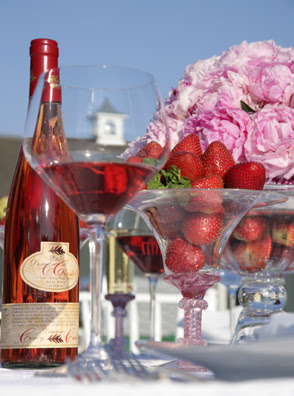 Admission to the Showcase includes the collectible “Virginia Wine Showcase” engraved wine glass, wine and food samples, seminars, exhibits and musical entertainment. This event benefits Washington Wine Academy, Arlington County’s Teen Entrepreneurial Management program and the farm wineries of Virginia. Advance tickets may be purchased in advance at www.vawineshowcase.org for a cost of $25 or for $35 at the door. 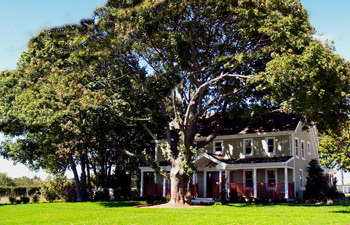 Featured wineries include: Acorn Hill Winery, Athena Vineyards & Winery, Belle Mount Vineyards, Bluemont Vineyard, Breaux Vineyards, Bright Meadows Farm, Chateau Morrisette, Chrysalis Vineyards, Cooper Vineyards, Corcoran Vineyards, Davis Valley Winery, Delfosse Vineyards & Winery, Fabbioli Cellars, First Colony Winery, Flying Fox Vineyard, Fox Meadow Vineyards, Hill Top Berry Farm & Winery, Hillsborough Vineyards, Horton Vineyards, Ingleside Vineyards, James River Cellars, Kluge Estate Winery, Lake Anna Winery, Lost Creek Vineyard & Winery, Mattaponi Winery, Miracle Valley Vineyards, North Mountain Vineyard & Winery, Peaks of Otter Winery, Pearmund Cellars, Potomac Point Winery, Rappahannock Cellars, Rockbridge Vineyard, Savoy-Lee Winery, Tarara Winery, The Williamsburg Winery, The Winery at LaGrange, Three Fox Vineyards, Tomahawk Mill Winery, Vault Field Vineyards, Veramar Vineyards, Vino Curioso and White Fences Winery.